We make floors customised exactly your desires and needs. 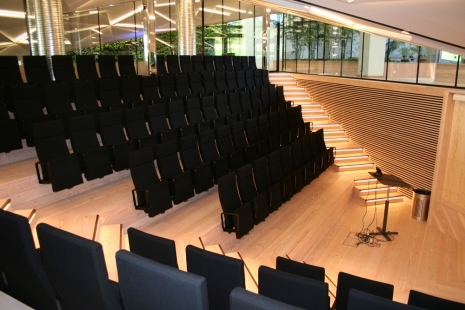 If you need guidance and direction when choosing floor, we can be contacted here. No task is too large or impossible - we will find a solution. Here you see a floor made of soap treated elm wood with ship joint. 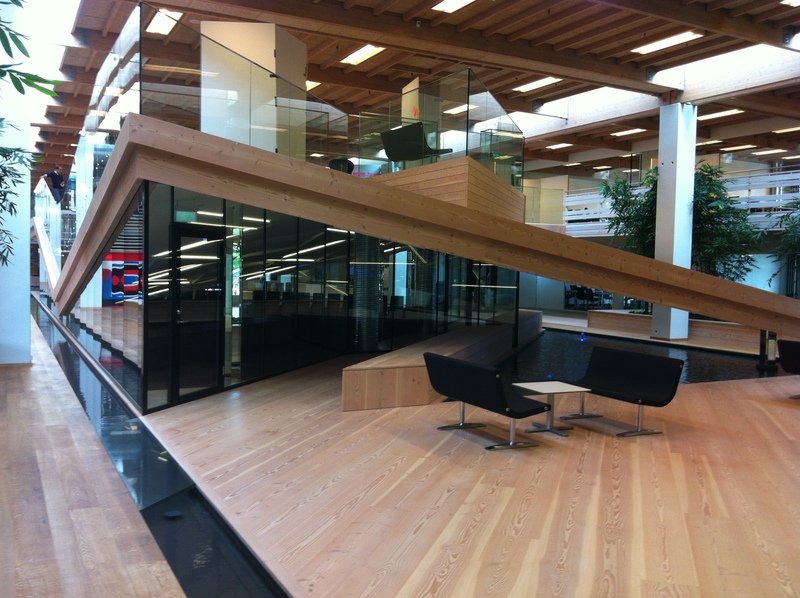 The deck below is used in an office and is made of soap treated Oregon pinewood with ship joint. The floor is easy to maintain and it keeps its elegant look. A-Z-Snedkeriet.dk makes floors for balconies, terraces, etc. as well. 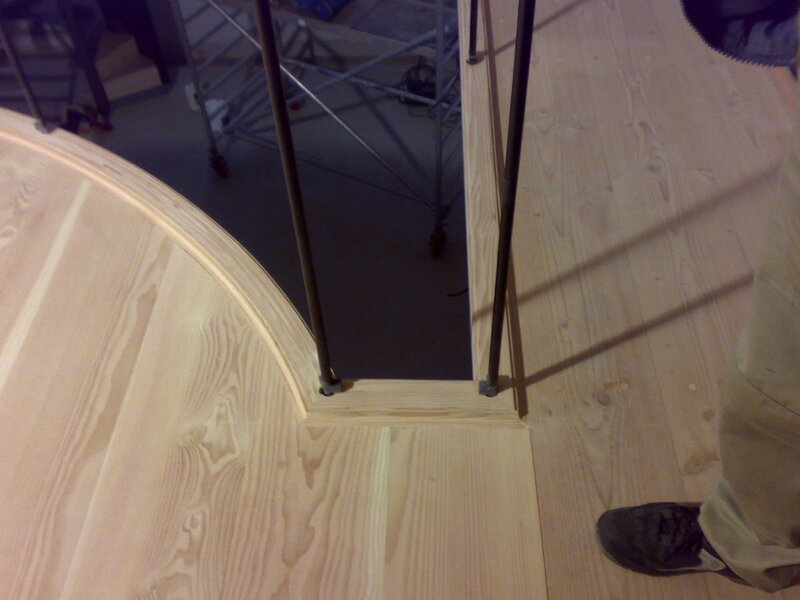 Here you see pictures of the floor for the balcony at Klelund Castle. The floor is made of soap treated Oregon pinewood. Please note the elegant rounded off details of the edges. Here you see an example of how a door can be mounted where the bottom plate shall adjoin a resilient floor. 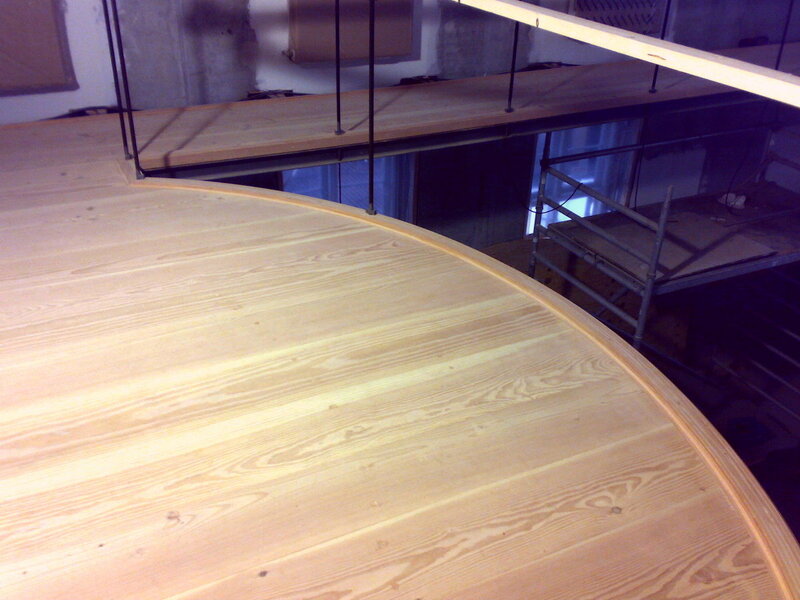 The oak plate has been made so that the floor can creep underneath the plate. Here is an example of how to make a end on the wooden floor under a door. 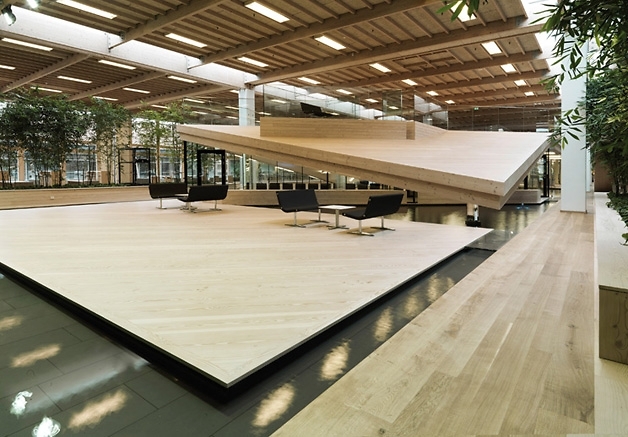 A-Z-Snedkeriet.dk makes floors for projects made of treated Oregon pinewood or oak. Here you see pictures of the final result.